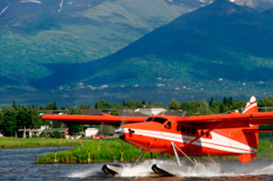 Located in the Mat-Su Borough, Willow is a census-recognized town with a population of a little over 2,000. Something of an outlying area, Willow has access to many unmarked trails and pathways that professional dog mushers use to train for competitions. Some neighboring towns include Big Lake and Houston. Willow is the largest township in the state by area which means there’s plenty of room to stretch out and experience every square inch of Alaskan landscapes. Fishing, hunting, canoeing and kayaking, hiking and mountain biking are just a small sampling of recreational activities that residents of Willow can partake in throughout the year. Recently, Willow was dubbed the official location for the restart of the Iditarod Trail Dog Race, a yearly mushing competition that spans a wide area of Alaska. The average home value in Willow is $145K, which is an 8.2% increase from 2012. Current listings in Willow range from $150K to $785K and includes commercial listings.